Which tools work best for each operation? The table below looks at the various tasks and ranks how each the tool typically performs on that task. 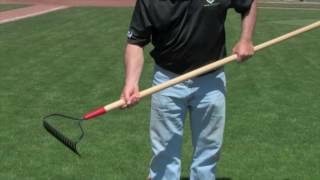 Keep in mind that ultimately the choice of tools for a task ultimately falls on the personal preference of the groundskeeper. Everyone has their favorites but this table should give you a place to start if you are looking for information about which tool is right for which job. Details about using each rake follows the table. 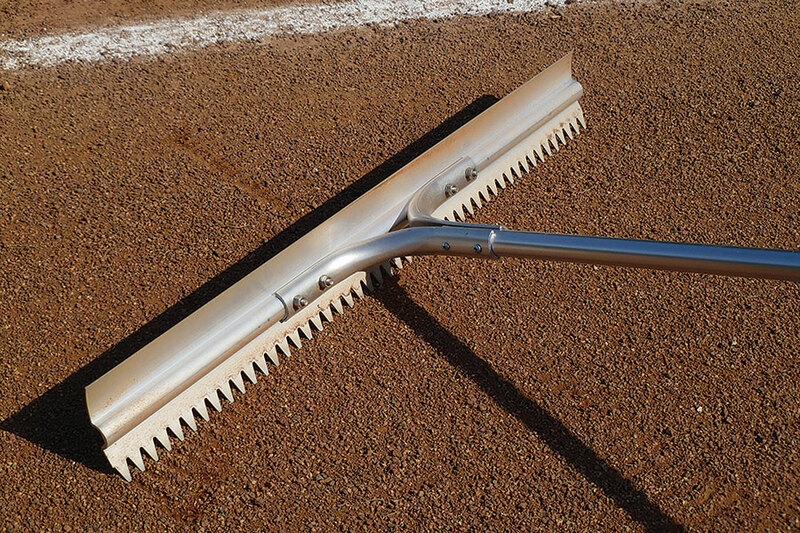 If you are dealing with pebbles and rocks on your infield skin, this rake can be your best friend. 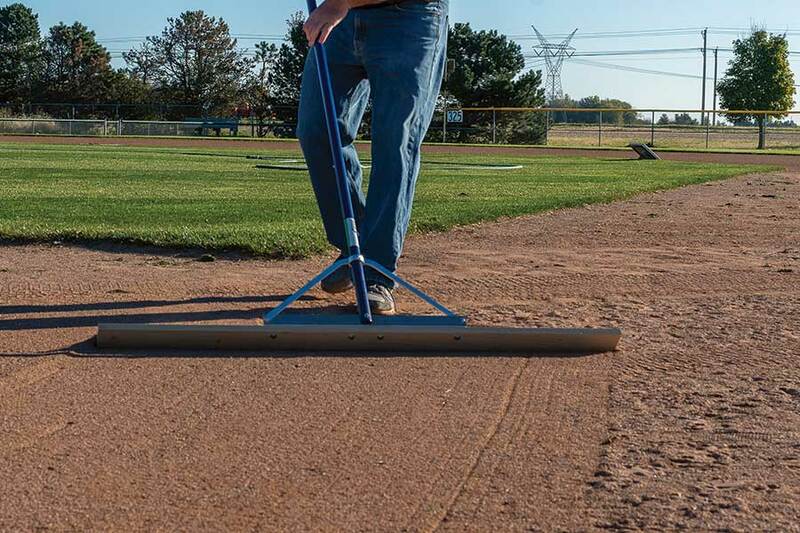 The screening rake combined with a steel mat drag and a sifter scoop shovel will help to greatly reduce the population of pebbles and stones in the infield skin over time. 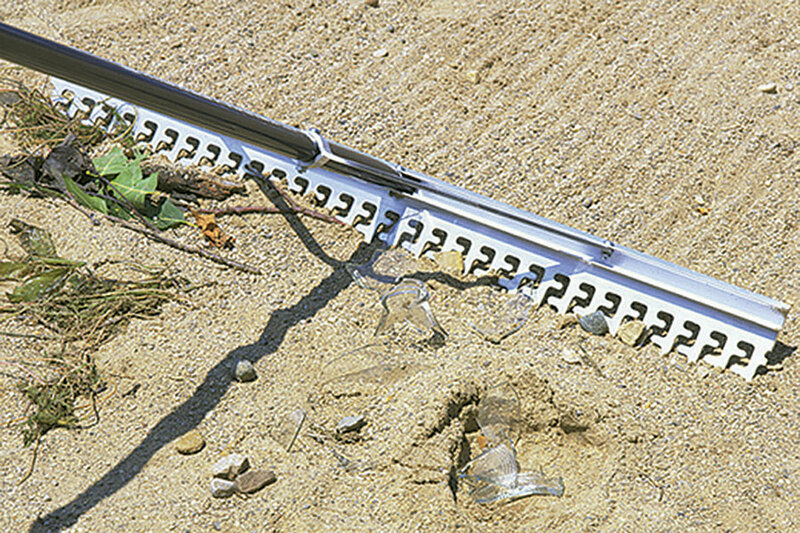 This rake will also do an adequate job in rough grading and removing other trash from the soil as it is graded. There are a few things to look for in order to have the right iron rake that can be productive for you. 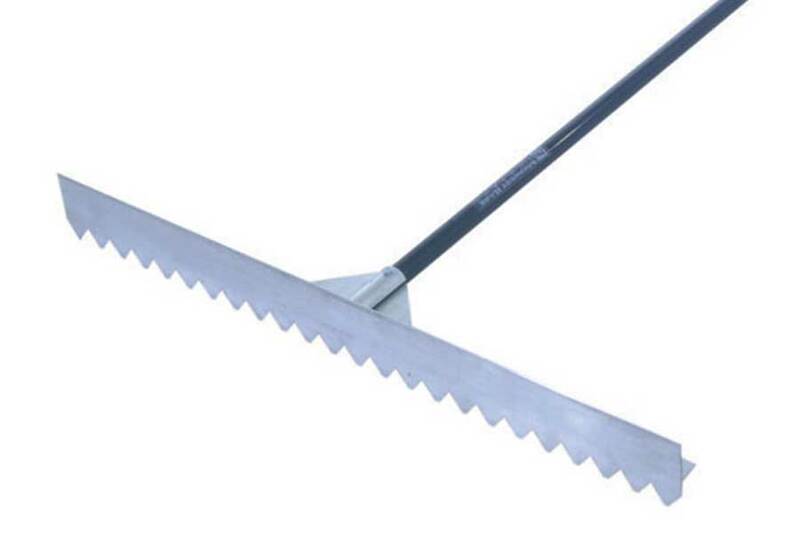 Use a “level head” rake (T-shaped head as pictured). 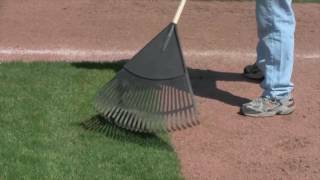 Avoid a “bow rake” as these tend to vibrate or jump when pulled on hardened soil. Make sure it has curved teeth. The curve places the teeth at a better angle for cutting into soil. Sharpen the tines on the back. Grind the bottom ¼ of the tine of the rake on the back side down to a sharp point as illustrated to the left. 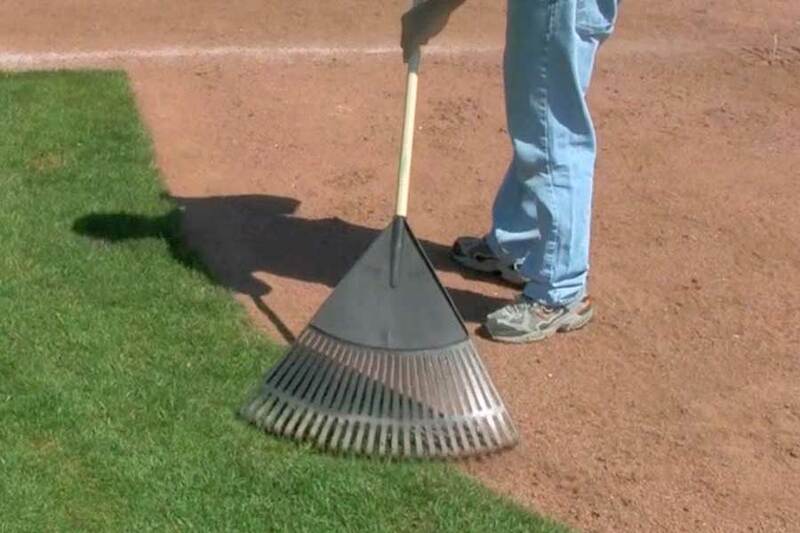 A sharpened rake reduces the amount of effort the operator must apply in order for the rake to cut into the soil. 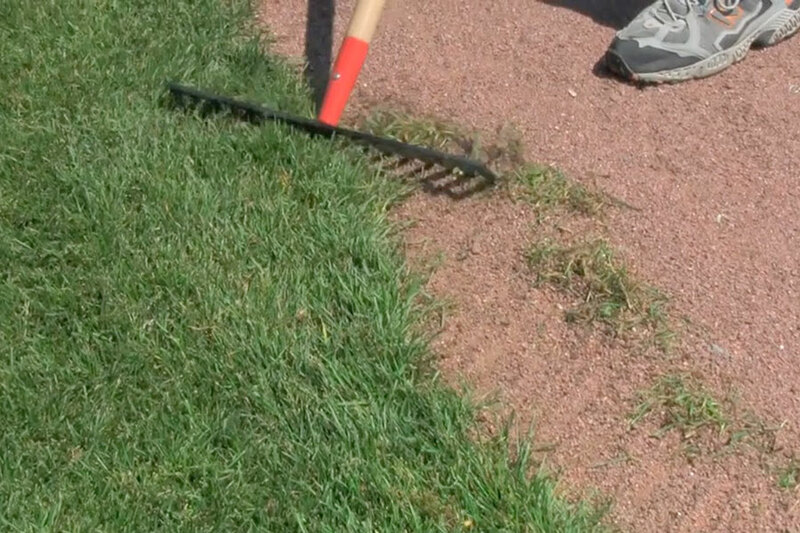 This is especially true when shaving down high spots in mound and home plate clay areas and shaving out the small hardened lips along the turf edges of the infield skin. There are lots of different lute scarifying rakes available, but the key to this lute rake is the curve in the rake head. That simple improvement over the other flat lute heads improves its ability to pull larger amounts of soil on the flat edge side without excessive operator fatigue. 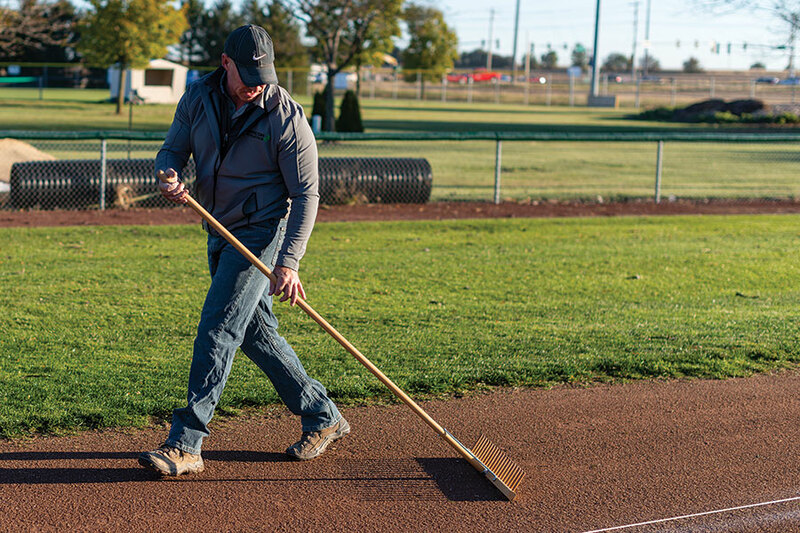 The curve also improves the performance of this tool for back raking wet infield skins on the serrated edge, especially those using infield topdressing. 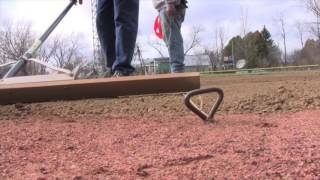 The Level Board is the best fine hand grading and leveling tool available for groundskeepers. 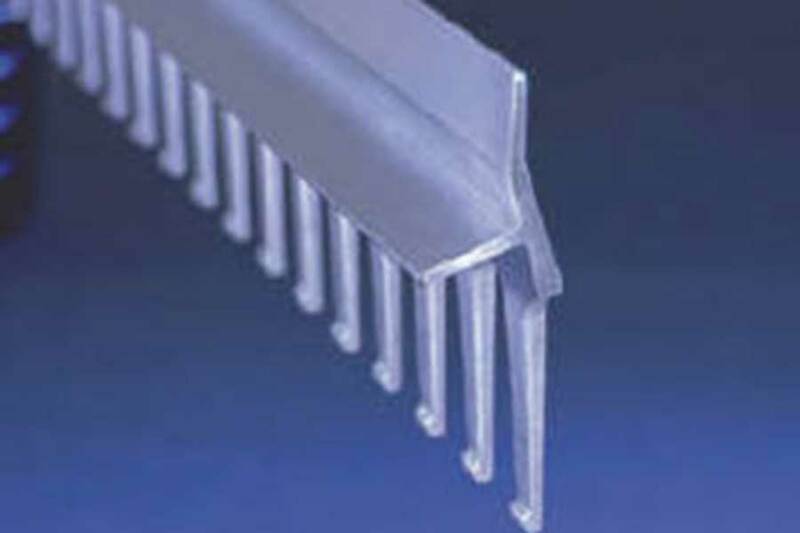 The stainless steel reinforced edge insures a strong cutting edge while the relief angle on the back of the level board head allows the tool to float on the surface more easily than the back of any metal rake. The 54” wide head improves grading and leveling on large areas. You should operate it in much the same manner as a road grader uses its blade. This information is intended to provide a general direction as to grooming tools you can use for the various tasks mentioned. But every groundskeeper has their own favorite tools. Tell us your preferred grooming rakes for various tasks and whether or not you agree with our assessment of the uses for these tools. 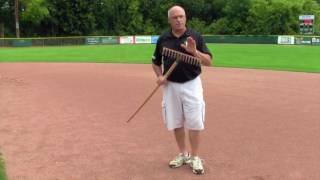 The 8 Essential Ballfield ToolsWood Is Good!